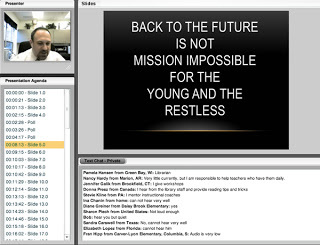 I stumbled upon a webinar recording through EdWeb, "Motivating the Reluctant Reader Through Technology: 25 Resources." Through this hour long talk, Dr. Furman passionately shares tips and tools for encouraging all readers, especially those who are reluctant to independently pick up a book. This webinar also presents some activities to help students further engage with their reading choices through writing, conversation, and creative projects. While this was originally recorded February 2013, much of the information is still relevant for today's classrooms. This webinar recording is free to access with only a name and email address (no account required).